This article provides a comparison review of the Nectar and DreamCloud mattresses. Its aim is to highlight the different characteristics of these two constructions and how it translates to the quality of sleep, so that a buying choice will be easier. When it comes to mattress technologies, they are the trendsetters. For what it is worth, whichever brand you choose, you are still getting a great deal. However, we will try to compare them based on what is really essential in a mattress to see which of the two works best for you. 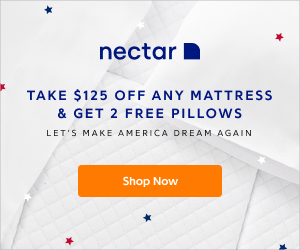 Nectar and DreamCloud are two premium, online American mattress brands established in 2017 and 2018 respectively. Fairly newcomers onto the bed-in-a-box retail market, they’ve already made quite a stirr with their offering. Notably, Nectar is the parent company of DreamCloud Sleep. The two brands have invested heavily in creating the perfect universal mattress with one goal in mind: to make quality and luxury mattresses affordable. DreamCloud Sleep is the first-ever luxury mattress available exclusively online at price point that truly symbolizes attainable luxury. On the other hand, Nectar Sleep is one fastest growing direct to consumer mattress brands in the United States with a highly marketed online memory foam mattress. To pick a clear winner in the Nectar vs DreamCloud battle, let’s dive deeper into how they’re both constructed and what the main distinguishable difference is between them. First off, this is where the main difference lies… DreamCloud Sleep uses pocket springs and memory foam (a hybrid) and NECTAR is all memory foam. The Nectar mattress a foam bed with four layers offer cooling technology, comfort and support. Nectar’s super-premium materials and construction hold exclusive CertiPUR-US® and Oeko-Tek certification. Marketing their product as “the most comfortable mattress”, it is thicker than other beds, and are durable due to dense, high-quality material. Verdict: Between the two mattresses, DreamCloud Sleep is the clear winner on material composition due to the added benefits of encased coils. 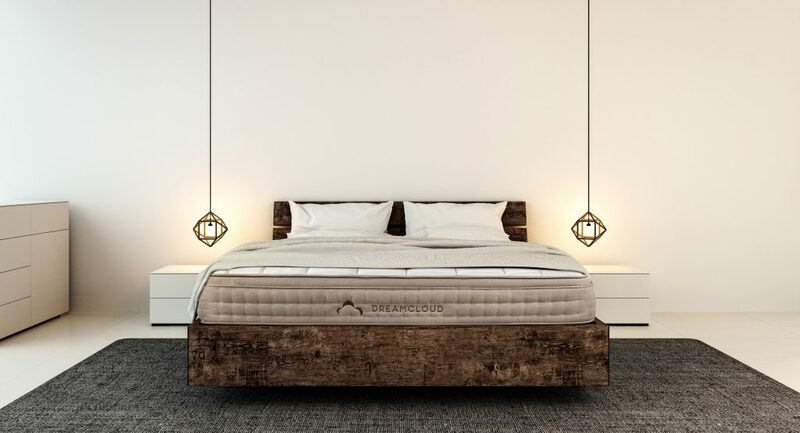 DreamCloud is a 15-inch luxury hybrid and handcrafted mattress combining the best latex, memory foam, cooling gel, hand-tufted cashmere-blend and proprietary coil technology to provide the best sleep money can buy. Nectar has a four-layer construction with an additional top layer and here’s what they are and what each layer does for your sleeep. The 1-inch gel memory foam layer helps to distribute weight evenly ensuring less pressure on joints for a comfortable night sleep. The fourth layer; the 3-inch adaptive hi-core memory foam provides the support needed ensuring a stable base for a perfect bounce. The 2.2lb breathable base layer adds on to the support and contouring while proving a stable base foundation. 15″ Luxury Hybrid Mattress: Latex, Memory Foam, Hand-crafted Cashmere, Tufting & Coil Technology. A tufted cashmere blend for optimal breathability and softness for a comfortable night sleep. A gel-infused memory foam layer provides contouring support which allows the mattress to conform to the body for support. The quilted memory foam layer is responsible for the bounce and softness which makes you feel like you are sleeping on real clouds. The supreme natural latex layer is hypoallergenic, durable and provides the cushioning and bounce for extra contouring and support. The supporting memory foam layer provides deep contouring support which keeps you comfortable even when changing sleeping positions. The dense super soft layer of memory foam ensures optimal support regardless of the position you take. It makes the mattress suitable for all types of sleepers. The five-zoned foam encased pocketed micro-coil system ensures the right support from head to toe, side to side and top to bottom. It plays a significant role in preventing motion transfer for a comfortable night. The base layer is made of high-density memory foam which provides a stable base of support while reducing motion transfer for comfort. Verdict: As far as construction is concerned, DreamCloud is the clear winner with its particular and highly effective layer combination. Each layer has a specific benefit, and all add to the comfort and support for quality sleep. The fact that it incorporates the benefits of an encased micro-coil system makes the mattress preferable for long-term pain relief. The construction and the material combination determine the firmness of a mattress. Mostly, mattresses are rated on a scale of 1-10, where 1 represents feather soft, and 10 describes a cement-hard surface. For example, if a mattress rates at 8, that means it is more of a hard surface than a plush, soft base. The Nectar mattress has a firmness level of 6 on a scale of 1- 10, 10 being hard and one being feather soft. This rating gives the mattress a medium kind of firmness which suits most sleepers. Also, this means that it is designed to provide support and the plush feel equally. DreamCloud Sleep mattress has a firmness level of 6.5 on a scale of 1 to 10, 10 being cement hard. This is referred to as the luxury firm where it is highly supporting but provides the bounce needed for comfort. These are the mattress sizes and dimensions of both Nectar and DreamCloud mattresses. No distinguishable difference exists between the two on this front. Sleeping Positions: The Nectar mattress is designed to offer the best experience for all types of sleepers. The medium level of firmness suits most sleeping positions in that the mattress provides the support and the bounce for comfort. Nectar’s construction takes into consideration the suitability of a mattress for year round use. That means it does not sleep hot when the temperatures hit high at night. The airflow mechanism comes in handy to wick away excess moisture and heat. Pain Relief: When it comes to pain relief, Nectar has shown success in going as far as helping patients with back and joint pains. The firmness level helps to provide the support while providing a soft surface for the body’s comfort. Also, the construction of Nectar helps the mattress to contour the body taking off pressure from the neck, back and shoulders. Couples: Couples have a hard time finding a mattress that will be satisfactory for them and their partner without compromising on some benefits. Nectar takes this critically and designs a mattress that will cater to all the needs in one. That means it is as comfortable for a side sleeper as it is for a back sleeper. Also, the design prevents motion transfer which is a significant issue for couples. Verdict: Overall, Nectar mattress targets all types of sleepers with an added advantage for back sleepers. It does not sleep hot and so can work for people that have a hard time sleeping through the night because of overheating. Also, the mattress design helps to relieve pain from pressure points and hence suitable for overweight and lightweight people. Sleeping Positions: DreamCloud also has the fantastic benefits of an all-in-one mattress. Like they say, sleeping on the DreamCloud mattress feels like sleeping on a cloud. The extra bounce in the springs makes it comfortable for most sleeping positions without compromising on the much needed back support. From the top, DreamCloud Sleep feels soft and bouncy but extremely supportive; thanks to the stable base layers. Pain Relief: It is clear that a foam mattress reinforced with springs is ultimately the best for support. For people that suffer from extreme back and neck pain, Dream Cloud help to alleviate the pain without feeling the hard rock surface of most pain relief mattresses. The base layers provide the support, while the top layers contour the body to help ease pressure from joints. Couples: No one ever wants to deal with a sagging and sinking mattress. Couples can attest to the fact that it is a challenge finding a mattress that works best for both. Dream Cloud has shown its suitability in taking care of the needs most couples have. One, now that it works for all sleeping positions with less motion transfer, couples can enjoy uninterrupted sleep all through. Also, the support and the soft bounce make it easy to take off the weight for a restful night. Verdict: Overall, Dream Cloud targets all types of sleepers, with a critical interest on people that suffer extreme back pains. Also, it is suitable for couples with the great support it offers. The spring construction also enhances breathability ensuring you sleep cool every other day regardless of the weather conditions. Since it is an all-in-one mattress, it is perfect for overweight, lightweight, those suffering from joint pains and special care patients. According to the Better Business Bureau, Nectar mattress has had to deal with complaints on the return process of unsatisfactory mattresses. Most of these complaints pointed out that the company has had delays in the recent past as far as the return process is concerned. According to the Nectar mattresses profile, a 365-night trial is allowed with a free return and a money-back guarantee if not satisfied with the mattress. For customers that had to go through the process, it seemed a little hectic managing the situation on time. However, the customer service agents responded and eventually cleared any problems customers had. As much as it took quite some time, Nectar kept their word on returns and refunds. A few customers that faced this expressed their satisfaction after the entire process and so, Nectar is indeed genuine. For DreamCloud, on the other hand, complaints that stood out were mainly based on delivery issues. Customers had problems with how long the mattresses took to get to them and the shipping process. However, these issues did not resolve to returns or dissatisfaction from customers. The customer support team solved the problems timely. As mentioned, DreamCloud is still a new introduction to the market, and so, such issues are expected especially with orders from far states in the USA. The good thing is that the company takes customer satisfaction a crucial element in the business. Therefore, the services have improved over time, and there are fewer complaints and positive responses from customers. Both the Nectar and DreamCloud mattress come rolled and vacuum packed in a box. It makes it easy to ship and install. The mattress packaging allows convenient installation in small apartments, tight corridors. The mattresses take a few hours to take shape after opening. Do they have an off-gas after opening? For the Nectar mattress, off-gassing is limited or non-existent. If after opening you find a faint smell, it fades away after opening and letting the mattress breathe helps considerably. The same case applied to the DreamCloud mattress. This mattress might have a faint smell that is as a result of vacuum packaging. It fades in a few days after being unwrapped. When it comes to shipping, Nectar offers free shipping within the contiguous United States. There are additional shipping costs when shipping to Hawaii and Alaska. DreamCloud on the other hand only ships within the contiguous United States. That means there is no option to ship to Alaska, Hawaii and US territories excluding PR. Here’s a quick price comparison table for each size of the Nectar and DreamCloud Sleep mattress. It is clear that DreamCloud is higher in price that Nectar but this is attributed to the construction of the mattress. As mentioned, the material combination and the construction of DreamCloud are detailed and up to par with technology making it pricey. But, it is worth every coin and anyone looking for a permanent mattress solution should consider getting a DreamCloud mattress. Nectar has a forever warranty on their mattresses. 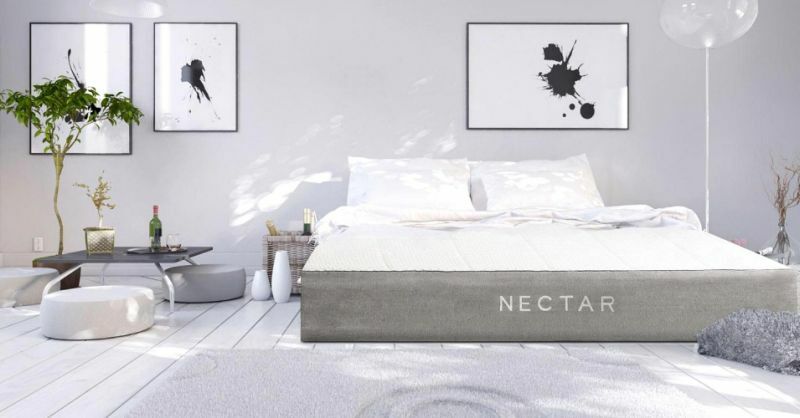 It means that at any point during your use of the mattress and it develops any defects, Nectar will replace it at no charge regardless of how long you have used it. Nectar is designed with premium material to last a lifetime while providing the support and comfort you need. DreamCloud, like Nectar, also offers the lifetime warranty. So, if the mattress sinks, sags, or develops any defect, Dream Cloud will replace it at no cost without considering how long you have used it. It is a guarantee that the materials are of high quality and designed to stand the test of time. Both mattresses have excellent warranty provisions, and this gives them an upper hand when selecting among other types of mattresses. Based on the warranty guidelines, the two are appropriate and get the tick for that. DreamCloud vs Nectar, which one should you choose? Based on the qualities of the mattresses, DreamCloud is the overall winner. One main feature as to why it tops the contest is the broad range construction incorporating various layers for optimal sleep performance. That gives it an upper hand for people with different sleeping needs requiring a lifetime solution to issues associated with mattress choices.